QueenVegas is an excellent option for South African gamblers who are looking for a quality online casino that provides them with a great gaming experience. 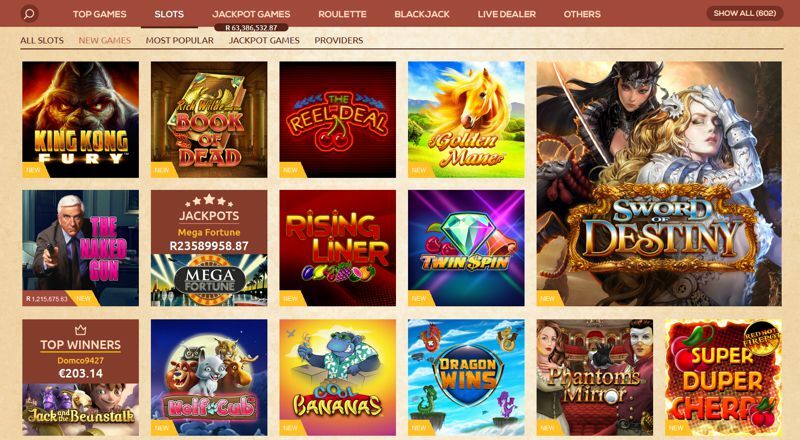 The online casino which launched in 2011 offers hundreds of games from developers leading software developers such as NetEnt and Microgaming. Queen Vegas provides players with a fun and fair online gaming experience. QueenVegas offers all new players a nice welcome bonus of 100% up to R2,000 on their first deposit. It is important to read the terms & conditions that apply as every bonus has a wagering requirement attached to it. Please note that a minimum deposit of €20 (approximately R350) is required to claim this bonus. You can find a wide range of modern and classic titles at QueenVegas. These online casino games featured have been developed by some of the top developers in the industry including Microgaming, NetEnt, GVG and NextGen. If you are a fan of slot games you can pick from a wide range titles such as Funky Chicken, Sea Hunter, The Sea Princess, Mystery Joker 6000, Aztec Idols, and Chinese New Year. Players can also choose classic table games such as poker and blackjack or switch over to the live dealer tables. The live dealer casino offers games in high definition (HD) from developers like XPG, Evolution Gaming and Extreme Live Gaming. QueenVegas respects the privacy and security of all of its players. The online casino has implemented the latest technology to make sure all personal and financial info is safe and secure. QueenVegas will request new players to provide their personal information for identification and verification purposes. This includes the name, date of birth and billing address. QueenVegas does not share any personal or financial data with third parties. The only exception to this rule is sharing some basic info with media outlets after a customer has a big win. QueenVegas offers South African gamblers several options for making deposits and withdrawals. They include popular options like bank transfers, credit and debit cards, e-wallets, and pre-paid cards. Gamblers can select from various options like Skrill, Neteller, e-wire and Nordea. Withdrawals at QueenVegas are generally completed in 2 to 5 working days, depending on which payment method you have selected. Most e-wallet transactions are usually processed within 24 hours. Do keep in mind that you might have to pay transaction fees depending on your choice of payment method and the amount being deposited or withdrawn. Please take the time to read up on the transaction rates before selecting your payment method. The online casino offers email support on a 24/7 basis but do remember to use English when you contact customer support. The customer support team is trained well and are very efficient in solving issues quickly. QueenVegas has quickly become one of the leading online casinos in South Africa. This is due to its vast online gaming portfolio, fair and responsible gaming policies and 24/7 support.